To be honest the bottle jumped out at me most from the range just because it looked lovely with its sleek - see through bottle (it looks similar to the origins cleansing oil actually) then i opened it and had a smell ...yep orangey goodness..it smells so fresh and fruity and let me tell you this cleansing oil is a beaut to use in the mornings. "The ultimate cleansing experience for fresher, more revived skin starts with this unique lightweight cleansing oil. Infused with Vitamin C and nourishing Olive, Grapeseed and Rosehip oils, this highly soluble oil transforms itself, upon contact with water, into a light milky texture. Boosted with Rosemary oil, Vitamin E and soothing Cucumber oil it gently dissolves face and eye makeup and removes daily impurities. Skin is left cleansed, refreshed and softer to the touch"
Its soo true..and contains such beautiful ingredients. I use this in the morning and a cleansing balm at bed time (another review following) this oil is best first thing as its such a pick-me-up product it really wakes you up with its lovely scent and feels like a luxury morning treat. All i do is tip a little into the palm of my hands, rub my palms together and massage it onto my face, then when I'm ready to wash it off i use a little water at a time gently rinsing it away and when you pat your face dry its beautifully soft and unbelievably bright and glowy...no joke its absolutely fantastic. I have used this a few times to get rid of a full face of makeup too and it works just as well breaking down all remaining traces of product ( i don't use any water proof makeup so i don't know how it would perform on that I'm afraid) but i do prefer it as a morning skin treat when my skin is makeup free. 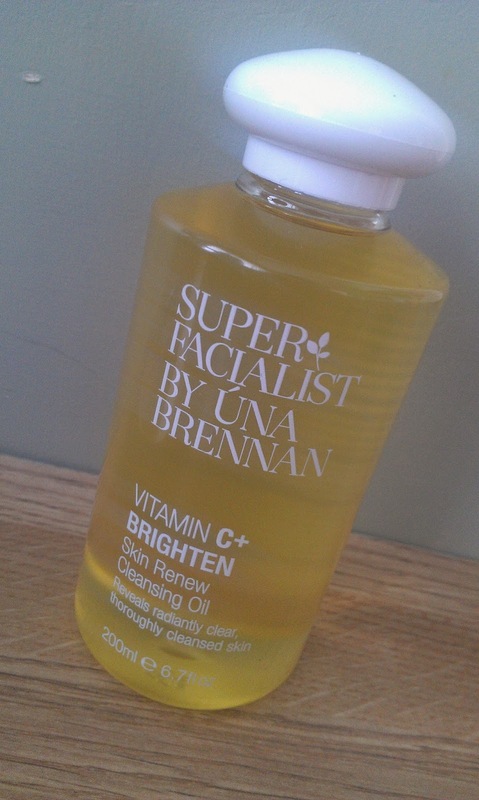 Have you tried any of the Una Brennan skincare range?